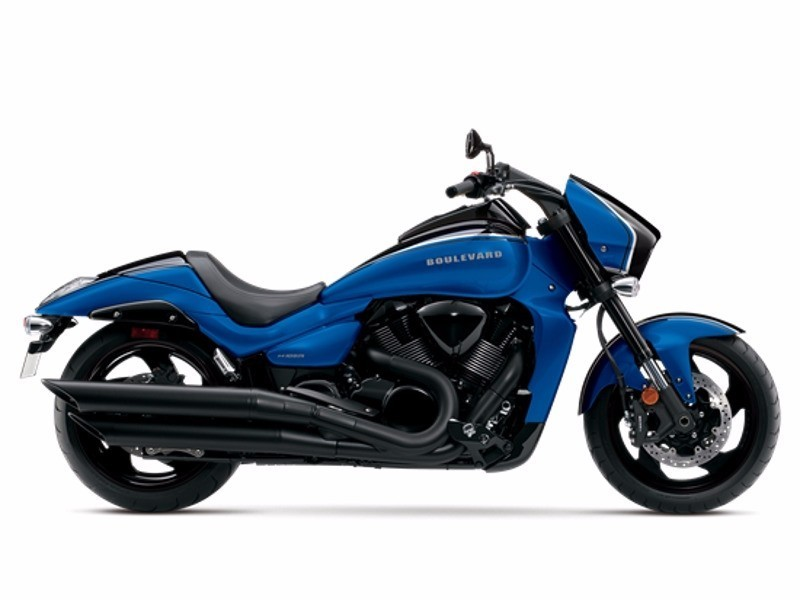 What is a Suzuki BOULEVARD M109R? Suzuki Boulevard M109 VZR1800: The Boulevard M109R's exhilarating performance begins with its all-new 109-cubic-inch, fuel injected V-twin engine. It's tuned to produce massive torque all the way from idle to redline, which translates into acceleration that you have to feel to believe - and makes this the most powerful cruiser Suzuki has ever produced. To reward every one of your senses, the big V-twin also produces a throaty, aggressive exhaust note designed to let the world know they're looking at - and listing to - the hottest cruiser on the road. (351) SUZUKI BOULEVARD M109R B.O.S.S. 2018 Suzuki Boulevard M109R B.O.S.S., 2018 Suzuki Boulevard M109R B.O.S.S. This is the performance cruiser other bikes wish they were. The dark and muscular M109R B.O.S.S. has a powerful V-twin engine using some of the largest pistons in the industry — a bike that will get your adrenaline flowing whenever you ride. This 109 cubic-inch engine is wrapped with aggressive blacked-out styling that includes slash-cut mufflers, drag-style bars, a supplied solo seat cowl, and a distinctively shaped headlight nacelle that’s uniquely Suzuki. This bike is not just about looks as stout inverted forks, a hidden single-shock rear suspension, and an ideally designed saddle delivers responsive handling and an exceptionally comfortable ride. Performance never looked so good, or so dark. Features may include: Climb aboard a true classic. Kick back and enjoy the timeless style that made riding synonymous with freedom. It’s all about the laid-back stance, broad saddle, and that irresistible rumble that only a cruiser can provide. ENGINE A 1783cc, 8-valve DOHC, 54-degree, liquid-cooled, V-Twin engine is designed to produce a massive tractable power and responsive torque. Huge 4.4 inch (112mm) forged aluminum-alloy pistons. These are one of the largest reciprocating gasoline engine pistons being used in any production passenger car or motorcycle, while featuring a race-proven design to reduce friction and inertial mass. Each of the large cylinders is lined with Suzuki's race proven SCEM (Suzuki Composite Electrochemical Material) for optimum heat transfer, tighter piston-to-cylinder clearances and reduced weight. Suzuki Advanced Sump System (SASS), a compact dry sump lubrication system, provides reduced engine height, a lower crankshaft position and a lower center of gravity. CHASSIS A high-tensile steel double cradle frame is built to comfortably handle all the power and torque while delivering agile handling and a plush, smooth ride. The massive, low-profile 240/40 x 18 is the widest rear tire ever used on a Suzuki motorcycle. Blacked-out, inverted front forks feature race-proven cartridge internals with 46mm stanchion tubes and provide 5.1-inches of smooth wheel travel. Cast aluminum-alloy swingarm works with a progressive linkage and a single rear shock absorber; adjustable spring preload to suit rider and passenger weight. ADDITIONAL Genuine Suzuki accessory options for the M109R B.O.S.S. include a black-finish engine guard set and trim-fitting, functional saddlebags. 2011 Suzuki Boulevard M109R Limited Edition, BACKREST!!!! AMAZING POWER!!!! Boulevard M109RCall it the best of all worlds. Suzuki's award winning Boulevard M109R - an incredible combination of cruiser styling and renowned Suzuki power and handling. By injecting the Boulevard M109R with a potent shot of race-proven technology developed for the championship-winning GSX-R sport bikes, Suzuki has literally redefined the concept of a cruiser.The Boulevard M109R's exhilarating performance begins with its all-new 109-cubic-inch, fuel injected V-twin engine. It's tuned to produce massive torque all the way from idle to redline, which translates into acceleration that you have to feel to believe - and makes this the most powerful cruiser Suzuki has ever produced. To reward every one of your senses, the big V-twin also produces a throaty, aggressive exhaust note designed to let the world know they're looking at - and listing to - the hottest cruiser on the road.Like Suzuki's sport bikes, the Boulevard M109R balances extraordinary performance with crisp handling, thanks to a technically advanced chassis and suspension, matched by world-class brakes. And when it comes to wrapping that performance package in cruiser styling, a picture is worth a thousand words. Check out its sleek, flowing lines and GSX-R inspired styling touches, and you'll realize that the Boulevard M109R is in a class of its own.The all-new Suzuki Boulevard M109R - chrome-plated proof that cruising can be incredibly exciting. 2007 - Suzuki- M109R - LIMITED EDITION Price ($8,500) 1.Miles: 5187 - 2. Fat Tire 10-inch -280 - 3. Chrome- RC Wheels, 4. Chrome Grill 5. Power Commander 6. Vance Hines pipes 7. Custom hand grips & mirrors 8. Garage Kept 9. Super Clean - Beautiful Bike- better than new 10. One owner 11. Custom seat- additional seat 12. Custom lights 13. A lot of CHROME Serious buyers only! This is a beautiful metallic black, shaft drive, water cooled Boulevard 1800cc M109R in excellent condition and only 15,000 miles. Converts from a single seat to a 2 seater in less than 5 minutes. Extras include a quick release passenger backrest with luggage rack, quick release windshield, and handlebar risers. New rear tire and new battery. 2019 Suzuki BOULEVARD M109R B.O.S.S., New 2019 SUZUKI BOULEVARD M109R B.O.S.S. Motorcycle owned by our Springfield store and located in SPRINGFIELD. Give our sales team a call today - or fill out the contact form below. 2019 Suzuki Boulevard M109R B.O.S.S., Only at Kevin Powell Motorsports Charlotte! Call us today 704-889-3500 2019 Suzuki Boulevard M109R B.O.S.S. This is the performance cruiser other bikes wish they were. The dark and muscular M109R B.O.S.S. has a powerful V-twin engine using some of the largest pistons in the industry a bike that will get your adrenaline flowing whenever you ride. This 109 cubic inch engine is wrapped with aggressive blacked out styling that includes slash-cut mufflers, drag-style bars, a supplied solo seat cowl, and a distinctively shaped headlight nacelle that’s uniquely Suzuki. This bike is not just about looks, as stout inverted forks, a hidden single-shock rear suspension, and an ideally designed saddle deliver responsive handling and an exceptionally comfortable ride. Performance never looked so good, or so dark. Features may include: Climb aboard a true classic. Kick back and enjoy the timeless style that made riding synonymous with freedom. It’s all about the laid-back stance, broad saddle, and that irresistible rumble that only a cruiser can provide. ENGINE The 109 cubic inch (1783cc), eight-valve, DOHC, 54-degree, liquid-cooled, V-twin engine is designed to produce a massive tractable power and responsive torque. Huge 4.4-inch (112mm) forged aluminum-alloy pistons. These are one of the largest reciprocating gasoline engine pistons being used in any production passenger car or motorcycle, while featuring a race-proven design to reduce friction and inertial mass. Each of the large cylinders is lined with Suzuki's race proven SCEM (Suzuki Composite Electrochemical Material) for optimum heat transfer, tighter piston-to-cylinder clearances, and reduced weight. CHASSIS A high-tensile steel double cradle frame is built to comfortably handle all the power and torque while delivering agile handling and a plush, smooth ride. The massive, low-profile 240/40 x 18 is the widest rear tire ever used on a Suzuki motorcycle. Blacked out, inverted front forks feature race-proven cartridge internals with 46mm stanchion tubes and provide 5.1 inches of smooth wheel travel. 2019 Suzuki Boulevard M109R B.O.S.S., Get great financing! We make it easy to buy and fun own! Call 1-866-269-2591 to learn more! 2019 Suzuki Boulevard M109R B.O.S.S. This is the performance cruiser other bikes wish they were. The dark and muscular M109R B.O.S.S. has a powerful V-twin engine using some of the largest pistons in the industry a bike that will get your adrenaline flowing whenever you ride. This 109 cubic inch engine is wrapped with aggressive blacked out styling that includes slash-cut mufflers, drag-style bars, a supplied solo seat cowl, and a distinctively shaped headlight nacelle that’s uniquely Suzuki. This bike is not just about looks, as stout inverted forks, a hidden single-shock rear suspension, and an ideally designed saddle deliver responsive handling and an exceptionally comfortable ride. Performance never looked so good, or so dark. Features may include: Climb aboard a true classic. Kick back and enjoy the timeless style that made riding synonymous with freedom. It’s all about the laid-back stance, broad saddle, and that irresistible rumble that only a cruiser can provide. ENGINE The 109 cubic inch (1783cc), eight-valve, DOHC, 54-degree, liquid-cooled, V-twin engine is designed to produce a massive tractable power and responsive torque. Huge 4.4-inch (112mm) forged aluminum-alloy pistons. These are one of the largest reciprocating gasoline engine pistons being used in any production passenger car or motorcycle, while featuring a race-proven design to reduce friction and inertial mass. Each of the large cylinders is lined with Suzuki's race proven SCEM (Suzuki Composite Electrochemical Material) for optimum heat transfer, tighter piston-to-cylinder clearances, and reduced weight. CHASSIS A high-tensile steel double cradle frame is built to comfortably handle all the power and torque while delivering agile handling and a plush, smooth ride. The massive, low-profile 240/40 x 18 is the widest rear tire ever used on a Suzuki motorcycle. Blacked out, inverted front forks feature race-proven cartridge internals with 46mm stanchion tubes and provide 5.1 inches of smooth wheel travel. 2019 Suzuki Boulevard M109R B.O.S.S., Get great financing! We make it easy to buy and fun own! Call 1-866-264-4690 to learn more! 2019 Suzuki Boulevard M109R B.O.S.S. This is the performance cruiser other bikes wish they were. The dark and muscular M109R B.O.S.S. has a powerful V-twin engine using some of the largest pistons in the industry a bike that will get your adrenaline flowing whenever you ride. This 109 cubic inch engine is wrapped with aggressive blacked out styling that includes slash-cut mufflers, drag-style bars, a supplied solo seat cowl, and a distinctively shaped headlight nacelle that’s uniquely Suzuki. This bike is not just about looks, as stout inverted forks, a hidden single-shock rear suspension, and an ideally designed saddle deliver responsive handling and an exceptionally comfortable ride. Performance never looked so good, or so dark. Features may include: Climb aboard a true classic. Kick back and enjoy the timeless style that made riding synonymous with freedom. It’s all about the laid-back stance, broad saddle, and that irresistible rumble that only a cruiser can provide. ENGINE The 109 cubic inch (1783cc), eight-valve, DOHC, 54-degree, liquid-cooled, V-twin engine is designed to produce a massive tractable power and responsive torque. Huge 4.4-inch (112mm) forged aluminum-alloy pistons. These are one of the largest reciprocating gasoline engine pistons being used in any production passenger car or motorcycle, while featuring a race-proven design to reduce friction and inertial mass. Each of the large cylinders is lined with Suzuki's race proven SCEM (Suzuki Composite Electrochemical Material) for optimum heat transfer, tighter piston-to-cylinder clearances, and reduced weight. CHASSIS A high-tensile steel double cradle frame is built to comfortably handle all the power and torque while delivering agile handling and a plush, smooth ride. The massive, low-profile 240/40 x 18 is the widest rear tire ever used on a Suzuki motorcycle. Blacked out, inverted front forks feature race-proven cartridge internals with 46mm stanchion tubes and provide 5.1 inches of smooth wheel travel.  2019 Suzuki Boulevard M109R B.O.S.S., WAS $15,149.00 SUZUKI REBATE $1,500.00 TMS DISCOUNT $1,650.00 SALE PRICE $11,999.00 2019 Suzuki Boulevard M109R B.O.S.S. Was $15,149.00 SUZUKI Rebate -$1,500.00 TMS Discount -$1,650.00 Sale Price $11,999.00 + FEES Destination: +$380.00 Added Markup: +$1,380.00 Total: $13,759.00 + FEES Temecula Motorsports provides destination, added markup, and total, for convenience and satisfaction with every purchase. Total includes sale price, added markup, and destination. Total does not include any government fees & taxes, any finance charges, any dealer document processing charge, any electronic filing charge or an emission testing charge. This is the performance cruiser other bikes wish they were. The dark and muscular M109R B.O.S.S. has a powerful V-twin engine using some of the largest pistons in the industry a bike that will get your adrenaline flowing whenever you ride. This 109 cubic inch engine is wrapped with aggressive blacked out styling that includes slash-cut mufflers, drag-style bars, a supplied solo seat cowl, and a distinctively shaped headlight nacelle that’s uniquely Suzuki. This bike is not just about looks, as stout inverted forks, a hidden single-shock rear suspension, and an ideally designed saddle deliver responsive handling and an exceptionally comfortable ride. Performance never looked so good, or so dark. Features may include: Climb aboard a true classic. Kick back and enjoy the timeless style that made riding synonymous with freedom. It’s all about the laid-back stance, broad saddle, and that irresistible rumble that only a cruiser can provide. ENGINE The 109 cubic inch (1783cc), eight-valve, DOHC, 54-degree, liquid-cooled, V-twin engine is designed to produce a massive tractable power and responsive torque. Huge 4.4-inch (112mm) forged aluminum-alloy pistons. These are one of the largest reciprocating gasoline engine pistons being used in any production passenger car or motorcycle, while featuring a race-proven design to reduce friction and inertial mass. Each of the large cylinders is lined with Suzuki's race proven SCEM (Suzuki Composite Electrochemical Material) for optimum heat transfer, tighter piston-to-cylinder clearances, and reduced weight. CHASSIS A high-tensile steel double cradle frame is built to comfortably handle all the power and torque while delivering agile handling and a plush, smooth ride. The massive, low-profile 240/40 x 18 is the widest rear tire ever used on a Suzuki motorcycle. Blacked out, inverted front forks feature race-proven cartridge internals with 46mm stanchion tubes and provide 5.1 inches of smooth wheel travel.